Whoever said opposites attract was right, of course...but no one ever said what they attract. Jilted by the latest of her father’s choices of “real men,” Cisney Baldwin rashly accepts an invitation to spend Thanksgiving weekend with a sympathetic colleague and his family. Nick LeCrone is a man too much her opposite to interest her and too mild-mannered to make her overbearing father's “list.” Now, Cisney fears Nick wants to take advantage of her vulnerable state over the holiday. Boy, is she wrong. Nick wants little to do with Cisney. She drives him crazy with all her sticky notes and quirks. He extended an invitation because he felt sorry for her. Now he's stuck, and to make matters worse, his family thinks she's his perfect match. He'll do what he can to keep his distance, but there's just one problem—he's starting to believe Cisney's magnetism is stronger than he can resist. In search of the yellow sticky with her ideas for today’s meeting, Cisney Baldwin sifted through papers on her desk. She had a choice: honor her rash commitment to spend the Thanksgiving holiday with Nick LeCrone and his family, or lie and join her friends on the Colorado ski slopes. Biting cold air and exhilarating speed might keep her mind off slime-ball Jason. And, she’d need her Richmond friends nearby to nurse her self-esteem after she told Daddy she’d lost his pick for her future. She planted fists on her hips and stared at the papers sprinkled with yellow stickies that covered her workspace. Minutes before her meetings with Nick, she could never put her fingers on her notes. Why did this always happen? How was she going to face him today, after he’d stood in her office doorway last week and watched her disintegrate during Jason’s dump-Cisney phone call? If only she’d stopped there, but no, she hung up and blubbered about the end of her six-month relationship and having nowhere to go for Thanksgiving. She splayed her arms over her paper-covered desk and knocked her head on the piles. This was all Jason’s fault. Jason needed space? Right. What he needed was freedom to date that woman with a waist the size of his muscular neck. She shot erect, raking her hair from her face. Nick stood in her doorway. He didn’t have a greasy mop of hair or wear button-down shirts two sizes too small, but he carried a calculator loaded with countless complicated functions. The joke around Marketing was that actuaries were accountants without personalities. Nick came from a long line of actuaries, several still kicking. And unlike go-getter, snap-decision-maker Jason, built like a football tackle, lean Nick was analytical, reserved, and deliberating. Daddy would eat him for lunch. She peeled a yellow sticky from her arm and stuck it back on her desk. “Hi. Come in and have a seat.” She moved aside a stack of company summaries. Her new marketing strategy would turn the profiled companies into customers for Virginia National Health Insurance—if Nick approved the financial risks. As he eased into the chair beside her desk, she fiddled with her pen. She needed to back out of the weekend now, before he had a chance to give her holiday details. Which of her excuses would avoid hurting his feelings? Happy day! Could he have forgotten he’d invited her to spend Thanksgiving with his family? Oh, yeah, he never chitchatted before getting down to business. Didn’t he want to know how she was holding up the week after her boyfriend had dumped her? He must know her heart still hurt like a triple bypass. She lifted a legal pad. None of the yellow stickies beneath it had miraculously morphed into the one she needed since the last time she’d checked. “Yes, I do have a couple of new ideas that came out of our focus groups.” If she could find them. She picked up an empty foam cup hinting of French vanilla and threw it into the trashcan. Maybe this was a good time to renege on their trip south. The knowing smile on the tight-lipped man’s face probably meant he thought she’d resorted to using other surfaces of her desk, now that no space existed on top. What next, her forehead? “Let’s see…” She turned over a memo and drew boxes, circles, squiggles, and lines, labeling them while she pitched her proposal. His gaze kept up with her scurrying pen, until the paper filled with shapes and words, and she stopped. He studied her pen scratches. Was he entering one of his endless deliberations of her great ideas? Cisney didn’t need this right now. Boyfriend problems and Thanksgiving among a family of actuaries still loitering on her calendar was enough. She would not nudge Nick for his opinions. Today, she’d let him sit and think. She’d bring blood to her lips before she’d say a word. She tapped her toe under the desk. He didn’t move. Not a comment. Not a question. Would it be impolite to ease her new phone from her pocket and set the stopwatch? She put down her pen and bit her lip. Cisney Ann, do not open your mouth. She sat back and crossed her arms. Did Nick have a girlfriend? He wasn’t bad looking. Hair, ho-hum brown. Decent nose. Maybe turned slightly to the right? Lips…kissable, if actuaries knew how to kiss. Eyes…whoa. Nice job, Mr. and Mrs. LeCrone. Why, in the year she’d professionally known this man, hadn’t she noticed how his abundant lashes framed and gave life to his gentle brown eyes? Probably because of the get-down-to-business glasses he always slipped on as soon as he sat. Nick punched numbers on his calculator and jotted figures next to her drawings. Ah, movement from the actuary. Come on, Risk Man, bless my proposal. Who’d have thought this analytical man of few words would sympathize with her falling-apart moment and tell her she’d spend Thanksgiving with his family in some small town in North Carolina? Who’d have…? Ha! He hadn’t asked her, he’d told her. She’d nodded, while she blew her nose, but her nod was ever so slight. So insignificant it didn’t count as a commitment. She rose as he stood. Time to weasel out of Thanksgiving with the LeCrones. Her heart hammered and her hands trembled. Could she deliver her spiel without her voice betraying her twist of the truth? She swallowed. She could do this. The words were simple: She was so sorry. When she’d accepted his kind offer during her stressful moment, she’d forgotten about the ski trip with her friends. “Um…” Her tongue sought saliva, but finding none, ran over her lips like a dry cotton swab. But she needed the companionship of the other singles in Marketing. Marketing people were outgoing and fun. With Mom and Daddy in Germany, wasn’t a ski trip with her friends the balm for her wounded heart? Angela and the others were her safety net after she told Daddy his ideal future son-in-law had bolted. OK. Fine. She’d go with Nick. He collected his calculator and legal pad. Wasn’t he going to give her trip details? After all, they would leave for his hometown in less than three days. She needed to know the Thanksgiving dress code and what time he’d pick her up. He put his pen in his shirt pocket. She refused to drag trip information from him. He needed to learn to communicate. Before she’d met Jason’s parents, Jason told her to wear her royal blue dress, bring a homemade dish to wow his mother, and remove her shoes on the welcome mat. She shrugged off her comment. Lord, aren’t you going to prod him, as you so rightly did me? Ah. Now he remembered he’d invited a guest who needed particulars. She stared at him, speechless. He held up his hand in farewell and left. Cisney hunched over the kitchen counter in her apartment, her stocking feet resting on the rungs of the barstool. While she crunched her second bowl of fruit-flavored cereal, she stared at her phone. Nick hadn’t called, and probably wouldn’t. She rolled her eyes and pushed her cell to the other side of the counter. If she’d asked him about the Thanksgiving Day dress code while he stood in her office, life would be simpler now. But, no, she had to punish him for the way God wired him. She swirled her spoon through the cereal. Why did she always create trouble for herself? Maybe Jason wouldn’t have dumped her if she were more refined and less headstrong. If she’d nurtured his ego more. How would she ever find another man like Jason? Daddy had banked on Jason rescuing her from spinsterhood. She couldn’t visit Mom and Daddy without him voicing how proud he’d be to call Jason his son-in-law. Now, jilting Jason was gone. Would she ever find her forever man? A man Daddy would be proud to have in the family? One who’d sweep her heart up to where the angels harmonized? She loved Jason for his charm, but had the charismatic skunk ever taken her heart to heavenly heights? Hopefully, he’d show up someday, but for now, she needed to know what to pack for the holiday. She shouldn’t have to beg information from Nick, when she didn’t even want to go. Calling him would only encourage his substandard communications skills. But, giving him another opportunity to bring up the trip might be a fruitful alternative. She needed a strategy. He ate lunch in the cafeteria with other actuarial types a half hour before she usually went to lunch. Tomorrow, she’d go down early, and when he dumped his flatware in the utensils bin, she’d happen to bump into him. Was she twenty-nine going on thirteen? She slurped the milk from her bowl. But what a crafty twenty-nine-year-old teen she was. Her plan would work. Nick laid out all the ingredients on the kitchen counter to create the perfect hamburger: grilled medium rare sirloin patty, cheddar cheese slice, dill pickles, Dijon mustard, ketchup, onion, lettuce, and tomato. The aroma of hickory seasoning lingered in the kitchen, making his mouth water. His cell vibrated. He glanced at its screen, wedged the cell between his shoulder and jaw, and built his burger. “Uh-huh,” he said around a bite of his burger. “Why wouldn’t she?” He licked ketchup from his fingers. Strange, after only one week, Cisney hadn’t seemed depressed today over losing her boyfriend. Short mourning period. But a good thing for him. With Dana bailing on him, he understood Cisney’s pain, but four hours in the car with her lamenting her breakup would be torture—the half hour in her office last week had been bad enough. “Her parents are visiting her brother’s family in Germany.” His family needn’t know Cisney’s ex-boyfriend had abandoned her. Why would Mom be so glad? She’d better not be getting any ideas about Cisney being daughter-in-law material. Cisney wasn’t. The clink of china sounded. “You realize they sell rolls ready to bake at the grocery store, don’t you?” He smiled, waiting for her expected retort. “You’ve never had a soft drink with her?” He pictured Mom’s raised eyebrows accompanying her shocked tone. “No.” During their weekly meetings, he’d seen only fancy foam coffee cups on Cisney’s desk. Several. “I have business to take care of Friday and Saturday in Charlotte for a couple of hours each day. Will you entertain Cisney while I’m gone?” He prepared to mouth her response. “As much as I’d like to see you and Dad again the week after Thanksgiving, this saves me the drive.” And if everything went as planned, he’d give his incompetent boss two weeks’ notice on Monday. “What kind of business takes people away from their families during holidays?” Her tone sounded like his, when at age twelve he’d let her know he didn’t want to learn ballroom dancing. After he narrowed his two options for his future down to one, he’d announce his intentions. For now though, he’d keep the nature of his business to himself. No use getting the family excited that he planned to move closer to home. “The kind of business good for the futures of both parties,” he said. Mom would dislike Option A if she knew it involved working in the same actuarial firm as Dana. Option A offered the best mental challenge, but was potentially hazardous to his heart. Although Dana had been cordial, she’d made it clear her call about the job opening was strictly business. That was fine with him. After she’d broken his heart, God’s comfort, and hours reading his Bible, had put him back on his feet. That’s where he planned to stay. If Friday’s meeting with Dana, their first encounter since their breakup, proved he wasn’t over her, Option B was a worthy backup. He jammed his cell into his pocket. Last week during his call with Mom to let her know Cisney was coming, he’d told her Cisney was a co-worker, not someone special. Now, her enthusiasm over Cisney’s visit sent warning sensations up the back of his neck. He bit into his burger. It suddenly tasted like an over-processed veggie patty. Inviting Cisney home probably ranked up with Option A as one of his worst ideas, especially if it started Mom dreaming about gaining a daughter-in-law. Cisney’s face streaming with tears had touched a sympathetic chord inside him. And that was all. Nick was sitting at a table by the window with two of his staff. She turned in the direction of the tray-return station. Her scheme to bump into Nick at the utensil bin as a reminder he needed to tell her travel information was finally underway. Fair was fair. She gave up skiing with her friends. He needed to show her the courtesy of bringing up the trip. It was a matter of principle. She moved into the alcove housing the swinging doors to the kitchen. With Nick’s mind probably on actuarial matters, and not on his guest for the holiday, chances were good he wouldn’t wonder what she was doing there, since she hadn’t been through the food line yet. When she peeked out of the recess, his table was in view. The trick was to time her exit to look as if she’d come from the elevators. That required angling to the far wall, and then making a quick U-turn. Making sure no one approached from the elevators, she executed a dry run. It would work. Cisney craned her neck to monitor Nick’s movements. He stood and carried his tray toward the bins. The kitchen doors whooshed open. A cart rattled behind her and nipped her calves. “Oh!” She scooted forward and into Nick’s tray. His tray tipped. The plate slid off, skated down her skirt, and broke in half on the floor. Frozen, her hands spread, she took in the damages. One spaghetti noodle clung to a smear of red sauce on her cream-colored wool skirt. With him staring at her as if he couldn’t figure out why she’d exited the kitchen, she had to say something. “Was the spaghetti good?” She laughed. Did it have to come out so loud and high-pitched? She grabbed the napkin from his tray and wiped at the tomato pulp. “Excuse me, ma’am,” the cafeteria employee behind the cart said. “I’ve got to get these lunch plates to a VP meeting.” He rolled his cart toward the elevators. People filing to the bins gave her sympathetic looks. Some offered solutions for removing stains from wool. Why did she have to be the one to lose face when she merely wanted Nick to own up to his responsibilities as host for what would most certainly be a miserable holiday. No comeback formed in her mind, and the truth was best left unsaid. She rubbed harder on the smear. “No. I’m fine.” About as happy as a thief whose stolen cash exploded and covered him in red dye. Mid-scrub, she paused, blew hair from her face, and gaped at him. Had he lost his mind? What did her soda preference have to do with a one-hundred-dollar-cleaning-bill stain? Question 1. At the beginning of the story, Cisney believes she’s made a rash decision in accepting Nick’s invitation to spend Thanksgiving with his family. She chooses to stick with her commitment. How does her attitude line up with her decision? How does her attitude affect her days leading up to the trip to his parents’ home? If you were Cisney, what would you have done differently? Answer 1. Cisney feels pressured by God to keep her commitment and spend Thanksgiving with Nick’s family. She chooses to obey, but she doesn’t choose to have a positive attitude. She hangs on to what she wanted to do, ski with her friends, and in the name of poor communication, tries to punish Nick for her rash decision. I would hope I would have tried to make the best of the situations and been alert to what God was doing. Question 2. Cisney is open and expressive. Nick is private and analytical. Considering their personalities and where they are (work, with family, or together) how well does each communicate? From their communication strengths and weaknesses in all situations, can you list the characteristics of a good communicator? According to your list, how would you rank yourself as a communicator? Answer 2. Cisney’s open and expressive nature doesn’t make her a good communicator. She communicates well when she’s leading her team at work, explaining to her team the mathematical point’s Nick makes. Too often she is in her own world second-guessing what others think and will do. She’s so uptight around her father that she doesn’t stand up for herself. She responds to her mother’s reserved nature in kind, feeling more comfortable to communicate with her best friend. Around Nick she prejudges and voices opinions, solutions, and needs accordingly. Nick’s private and analytical nature doesn’t make him a good communicator, either. At work he’s known as the translator of his brainy boss. Yet, he seldom thinks about what others might need to know. He fails to make answering Angela about the wedding a high priority. And he’s not going to say something until he’s sure he’s right. Don’t assume things about others. Hear them out or ask questions. Don’t think about your response or other things while someone is speaking. Make sure you explain information at the level of your audience. Respectfully speak up when others are crossing your boundaries. Don’t discount others as unable to understand your situation, and thus keep mum on issues. Mentally, put yourself in others’ situations, and tell them what they need to know to be successful. Don’t wait until you think you’re 100% right before opening lines of communication. Initiate conversations with others if they have information you need to know. Question 3. Cisney is an attractive woman who succeeds in her marketing career. She’s funny and vibrant. Why do you think Cisney’s last two boyfriends broke off their relationships with her? Answer 3. No matter how hard she tried to be someone different than herself, Cisney is not a mouse or doormat. She has an active church, social, and business life. Her boyfriends, so like her father, want a partner resembling her mother, who sets few boundaries and allows her husband to run her life. Question 4. Why do you think Cisney at age 29 starts out in the story so heavily under her father’s influence? What has her father’s deceptive philosophy been toward Cisney? What change allows Cisney to respectfully set boundaries with her father? Answer 4. As Cisney’s mother finally clarified for Cisney, Cisney’s father intentionally raised her to be like him and bullied her into relationships with men like him. He’s ignored that mere humans, even those with good intentions, cannot play the roles of God’s co-leaders in others’ lives. Although Cisney has been aware her father is demanding, she abhors disappointing him, believing he has her best interest at heart. In the rowboat, Nick helps Cisney see God’s perspective, that she answers to God first. Question 5. When Cisney and Nick stop for ice cream, Cisney wants Nick to order a milk shake to honor her family tradition. Instead of something else, Nick orders the shake. Why is Cisney surprised? What does Nick’s choice say about him, which he also demonstrates when he meets Cisney’s father for the first time at the hospital? Answer 5. Cisney may be unconsciously testing what kind of her person Nick is. She’s used to men who choose against what she wants to show their power. Her father and Jason. Nick doesn’t feel the need to prove anything to anyone. He’s comfortable in who he is. Question 6. When Cisney learns Jason and his new girlfriend are with her friends skiing, she becomes distressed. She tosses the Bible aside while looking for a phonebook. When she approaches Nick, he tries to comfort her with the comfort God gave him by asking her Biblical questions. Cisney answers all Nick’s questions correctly, but doesn’t connect what he’s leading her to see until he spells it out for her. What do her actions say about her relationship with God at this point? Answer 6. Cisney knows her Bible, but doesn’t know how to use it. She hasn’t developed much of a relationship with God, and fails to consult Him. Question 7. Nick, in certain situations—when he reads by the lake, when he counsels her in the row boat, when he relates his “swan” story, and when he meets Cisney’s father—doesn’t plan to be an example for anyone on anything. But what things does Nick do in such instances that sets a godly example for Cisney? What does she do in response to his example? Answer 7. Nick has a daily quiet time with God. He cares and is obedient to help her see God’s perspective. He’s confident in his Christian skin. He believes in marriage (swans). She plans to put the Bible on her phone. She begins to read the Bible daily and consult God for teaching her preschool Sunday school class. She agrees she should not use Nick as a weapon against her father. Question 8. Nick’s mother, Ellie, worries a lot. In the car with Cisney on the way to the airport, she mentions that she often falls into the temptation of worrying, implying worrying is wrong. Do you agree that it’s wrong to worry? Why? Answer 8. Jesus commands us not to worry in Luke 12:25-26, 29; 21:14 and in Matthew 6:27-28, 34; 10:19 to name a few passages. It never accomplishes anything and wastes time and wears on the body and mind. Question 9. For Nick and Cisney’s first official date, Nick takes Cisney to the mall for a simultaneous chess tournament. How does she react? By the end of the tournament, how does she feel? What does this say about the pigeonholes we put people into, and about our prejudices fed by jokes and generalizations? Answer 9. 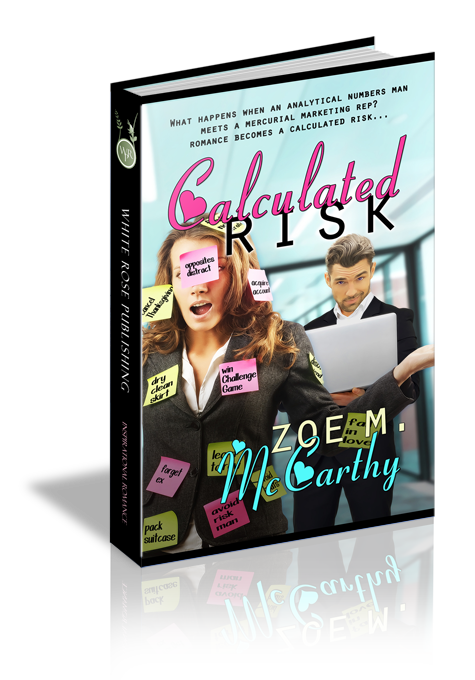 She’s bothered that Nick fits into the cliché of an actuary and enjoys brainy but dull activities. By the end of the tournament she realizes, Nick’s accomplishment is something to be proud of, and the tension equaled that of any sport. We might be surprised that we can enjoy watching or entering into an activity a friend likes, if we give it a try before prejudging it. Question 10. On the night before and the day of Angela’s wedding, Cisney’s heart is broken. She could use her best friend’s listening ear, but how does she handle her troubles in light of her best friend’s special day? When have you had to act similarly? Answer 10. On Angela’s wedding day, Cisney is determined that Angela will remain unaware of her problems with Nick. When Angela opens the door at breakfast for Cisney to unload her troubles, Cisney doesn’t. She realizes Angela’s day might not be the right day for God to answer her prayers. She chooses to trust God. She also puts on a brave face when Hunter doesn’t show up for the tango.